Life outdoors can be fun, but, like driving trips, can be even more fun with groups. 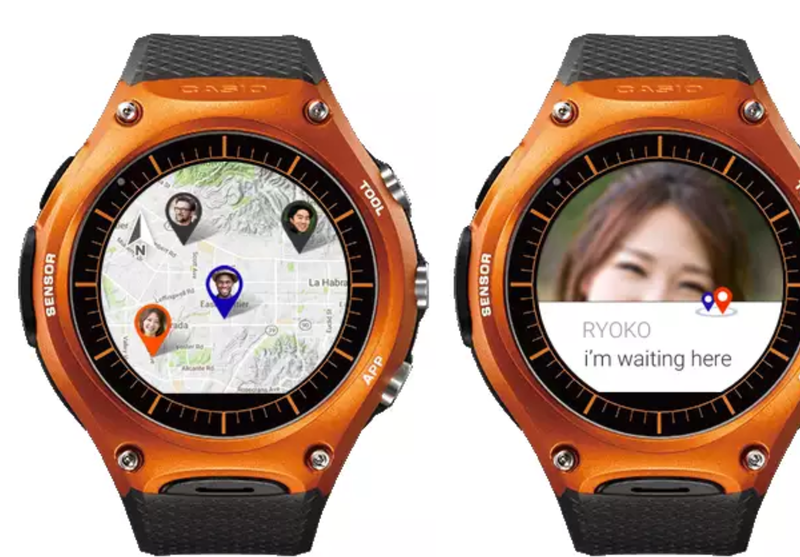 Casio, taking advantage of this fact, and wanting to encourage its Android Wear-powered smartwatch wearers to have more fun in the sun, has announced a location-based app called CASIO MOMENT LINK that lets you connect to other people in your group outdoors by way of Bluetooth and GPS. You'll need a GPS-enabled smartphone and Bluetooth to pair the app on your phone with your Casio WSD-F10. The CASIO MOMENT LINK app allows you to see the locations of other group members by satellite, terrain, or map display (you choose), send text messages to alert them of where you are or find out where they are (among other things), and create and stop groups. Groups can have up to 9 members in them, in case you were wondering. The Casio WSD-F10 is one of (if not the most) unique Android Wear smartwatches on the market. While its specs match that of most Android Wear devices, Casio adds its own touch with a Dual Layer Display that provides the time and other data on a color LCD screen, but then cuts off the color screen and displays the time and date on a monochrome LCD screen when the power is low instead of going black and doing nothing. The Casio WSD-F10 is also set apart not only by way of its two displays, but also because it provides other things such as updated weather maps when bad weather is on the way, sunrise and sunset times, information about sunrise and sunset as well as good times within the day to go fishing, along with some of the traditional health information that smartwatch wearers have come to take for granted. 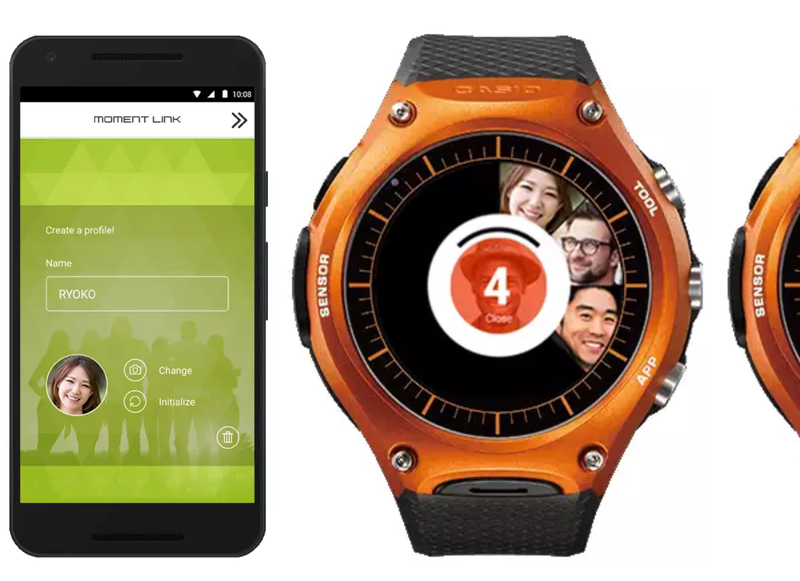 If you're a Casio WSD-F10 smartwatch owner, you can head over to the Play Store and grab the app. Then, get ready to have more fun with friends in groups.